Add an additional $25.00 heavy/bulky shipping charge per each. Our CASTLECREEK® Diamond Cedar Log Beds are handcrafted with a unique diamond-pattern design that lends style to match their strength. Made from Northern White Cedar logs, they're hand-sanded smooth and left unfinished. You can finish or leave to age naturally and gracefully. Whichever you choose, your new bed is sure to last a lifetime! Get the lodge look you've always wanted. Does the family cabin need a makeover? Got plans for your bedroom at home? Only Cedar Log Furniture can deliver the true lodge feel. The scent. The sturdy design. The rustic authenticity. It's all right here at an incredible price. Please Note: Log furniture is subject to the natural process of checking and splitting as the wood releases moisture. No compromise on strength, only builds character. Mattress and Bedding not included. A rustic look for your master suite! Order today! 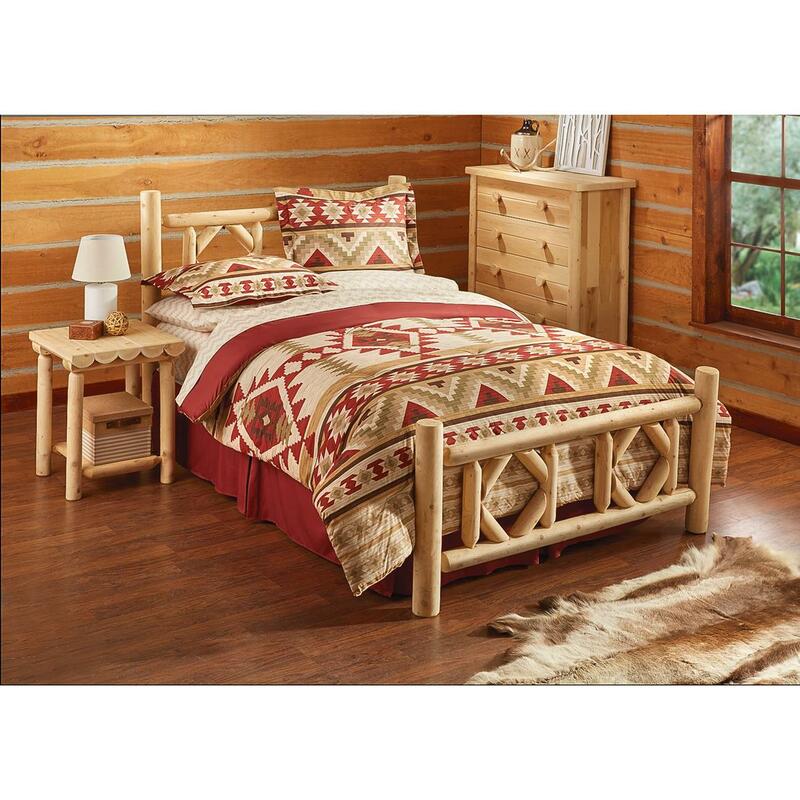 CASTLECREEK Diamond Cedar Log Bed, Queen is rated 4.6 out of 5 by 8. Rated 5 out of 5 by Larry from Good quality Good quality wood and easy to put together. Did have a couple screws missing, but S.Guide customer service took care of that in a timely manner. Rated 5 out of 5 by Rosie2016 from Love This Bed We switched out or metal bed frame with this amazing bed. It is very easy to put together, and has everything you need, even a mattress holder so it does no slid. That is great. My mom had this bed and so did my brother so I had to get one, they both love there bed. Have had it for about a month with no problems. Rated 5 out of 5 by Mike V from Rock solid Bed arrived ahead of delivery date. Bed assembled very easy by myself. I glued all joints on the headboard and footboard. 1 3/4" construction screws were used instead of nails.The cross support rails were glued into the side rails. The side rails were installed using screws ( no glue ) for later removal if needed. This bed is extremely solid and has no shake or wobble at all. I am very happy with this bed !! !Word of caution : If you use the nails, they are long enough to come out the front side of the rails if not angled just right. Rated 4 out of 5 by Bill from Great Bed Bed was delivered as promised and went together in less than 1 hour. Rated 5 out of 5 by Consumer Bob from Great frame. 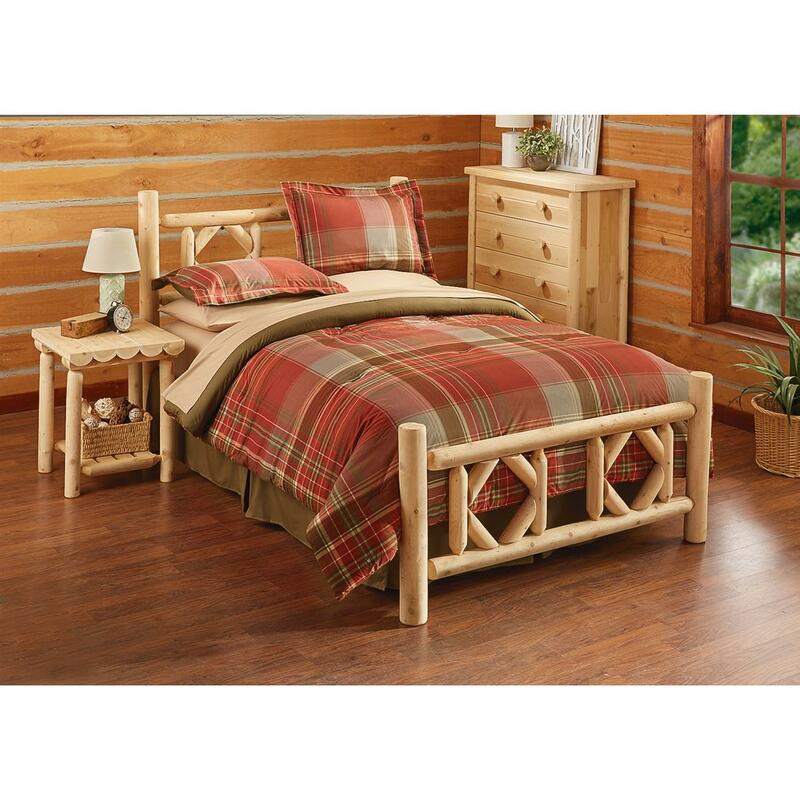 Great Price This is an excellent product, if you want a real wood bed frame at a good price. Just be prepared for lots of natural cracks in the pieces. I have two of these beds, one king and one queen. Rated 4 out of 5 by Barbie from Great Price Beautiful Bed - not real easy to assemble - takes 2 to 3 people to assemble.